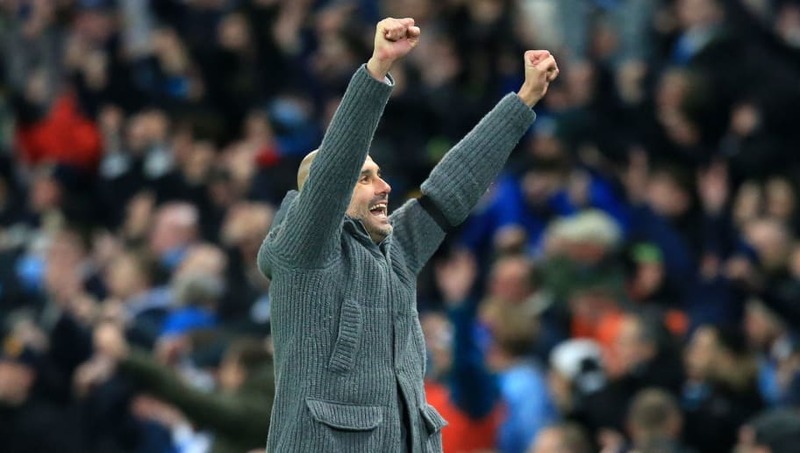 ​Manchester City manager Pep Guardiola has said that he believes achieving the quadruple is ‘impossible’, as they beat Brighton 1-0 in the FA Cup semi-final on Saturday afternoon. The Citizens progressed to the FA Cup final at Wembley Stadium, prevailing thanks to an early header from Gabriel Jesus. It means that City’s hopes of winning a historic quadruple are still alive, as they remain in the running in the Premier League and Champions League. Speaking after the game, Guardiola was asked about the quadruple and their chances of winning it. As quoted on the club’s official website, he said: “It’s almost impossible to win the Quadruple. Surviving is a miracle and it’s nice to be there. ​Manchester City have broken a number of records under Guardiola so far, but winning the quadruple would undoubtedly be his biggest achievement. No English side has ever won all four trophies, with city rivals ​Manchester United coming closest back in 1999. It was far from a trademark performance from Manchester City, but nonetheless they got the win and qualified for their 11th FA Cup final. The FA Cup remains the only domestic honour Guardiola is yet to win, having won every other domestic competition in his time in Manchester. Speaking about the game, he said: “We are happy to be in the Final, after winning two titles this season. We are now in the Final of the other and in the other two competitions, we are there. Manchester City are back in action this week, as they face ​Tottenham in their Champions League quarter-final on Tuesday. They return to Premier League action next Sunday, when they travel to face Crystal Palace.